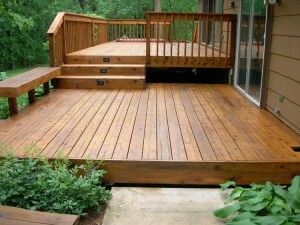 Dutra Construction’s decks and porches are found throughout the Boston area. 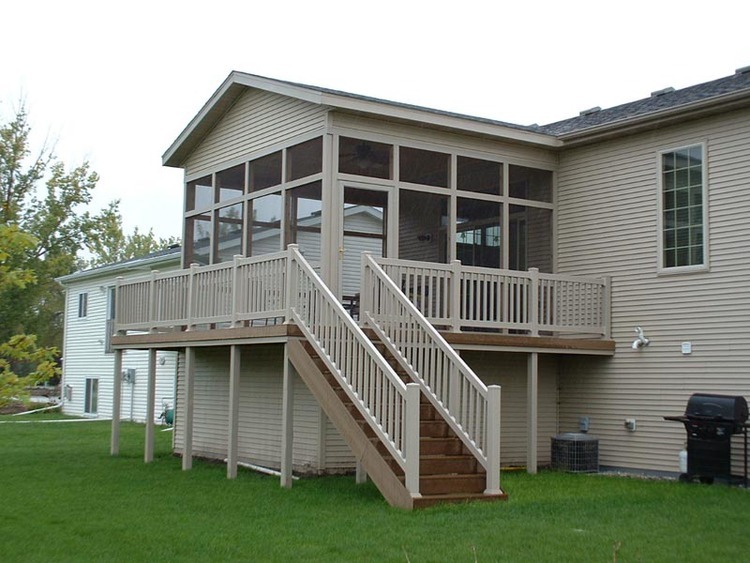 We are widely recognized for our functional and stylish front porches and decks. In addition to our creative design ability, our expertise ranges from knowledge of local building codes to appreciation and awareness of the different architectural styles that encompass Boston and its unique suburban areas. We ensure that our work is structurally sound and blends well with the architectural character of the surrounding neighborhood. Dutra Construction will work closely with you through every step of the design and construction phase. We offer a wide variety of porch building materials including low maintenance composite flooring, pvc realign and natural wood obtained from ecologically managed woodlands. 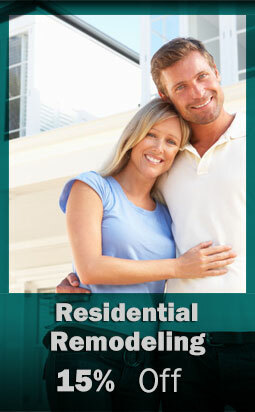 We can help choose the material that fits your budget and lifestyle of your home. When building a porch, we start by building a deck or concrete patio surface, and will either screen it in or enclose it with a gorgeous sunroom. Throughout every phase of construction, our general contractors keep homeowners in the loop on the project’s progress. You’ll love your new porch and the freedom it gives you to enjoy the outdoors — even when it’s raining. In addition to our porch building services, we also offer home improvements and remodeling services like roofing, bonus rooms, garage building, room additions and more. You can trust our outstanding craftsmanship and service from start to finish. Contact us at (508) 561-4304 for a quote. Let the deck builders Let the deck builders at Dutra Construction help you design the perfect deck, patio, or external room that will extend living and entertaining space outdoors. 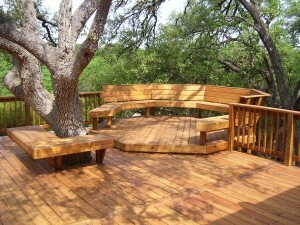 We specialize in building large and small custom decks in Boston and the surrounding Boston areas. At Dutra Construction, our deck building philosophy is simple. We believe in building premium-quality, low-maintenance decks that last, whether using composite decking or natural wood. Not sure what material to use? We will offer ideas and advice during the design stage. Enhanced exterior living space such as a large deck, pergola, kitchen area, or covered pavilion allows you to entertain in style at your home and form special memories with family and friends. Host Southern-style barbecues or birthday parties for the kids while enjoying the backyard. Plus, the cleanup can be a whole lot easier than it would be indoors, since moisture-resistant composite decks resist spills and stains. At Dutra Construction, we have the capability to turn backyards into more than just a place for a deck. Imagine an extended outdoor kitchen surrounding the pool or gazebo, or a beautiful garden filled with colorful flowers. Whatever project is in store, we help bring outdoor patios and living areas to life. Our patio builders and general contractors believe in building a deck, patio, or outdoor area that you will appreciate for as long as you stay in your home. Covered or uncovered, the extended amount of living space is truly remarkable, and the sky’s the limit when it comes to designing and constructing a first-rate outdoor living area. Dutra Construction is a business with a solid reputation built on quality products, expert installation, and guaranteed customer satisfaction. You can trust our excellent workmanship and dependable service throughout every phase of your home improvement or remodeling project. 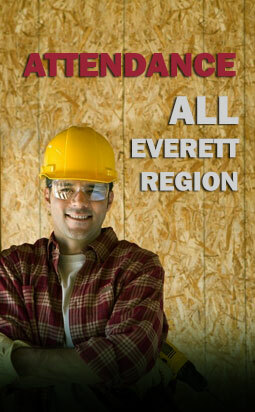 Contact us at (508) 561-4304 to receive a free estimate. Let us help you choose the design and select the best materials for the plan. Our general contractors believe in building premium quality, low-maintenance outdoor projects that last. Dutra Construction will build you a porch that will last for years to come.Extend your living space outside to enjoy barbeques with friends and bug-free dinners under the stars. Our porches fulfill all your outdoor living needs. 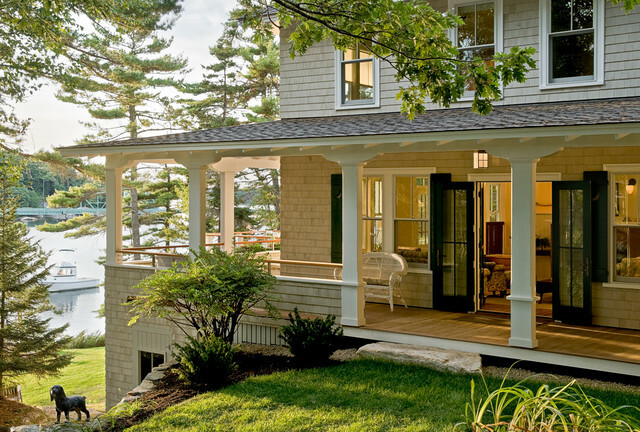 Contact us now at (508) 561-4304 to get a quote on a porch construction project today.